Check out what this CH cat parent had created for her CH cat CJ. Once it was completed, 9 Cat Corner named the creation CJ, after Maria’s CHer. 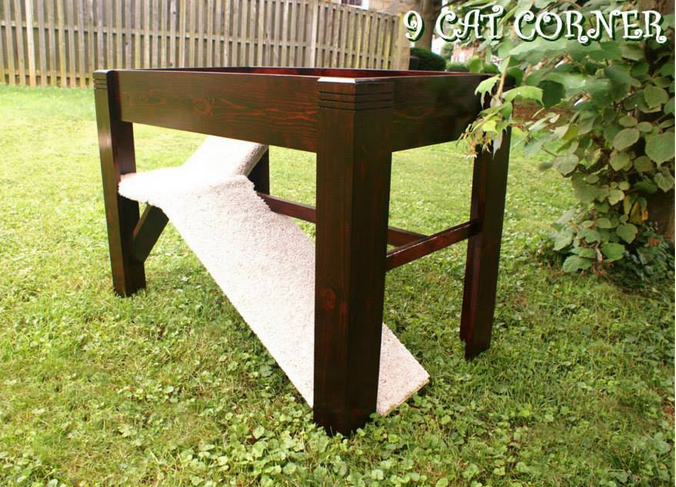 9 Cat Corner creates custom-built products that are made in the USA. To learn more, visit their Facebook page. Nice looking and very functional. I like how they designed the ramp within the piece of furniture so it doesn’t stick out.